Do you ever wish that Martin Sheen would run for President? 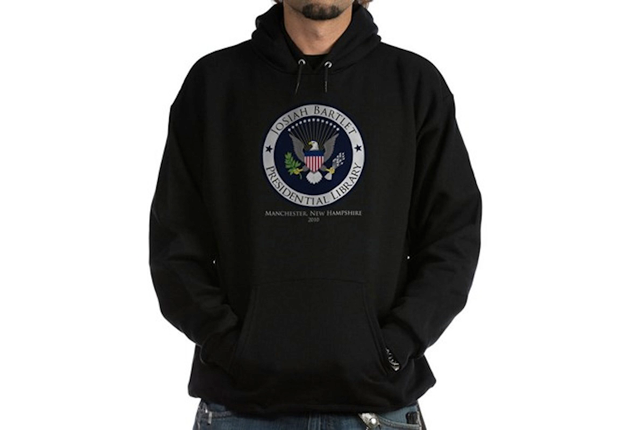 You might be a West Wing superfan, and you deserve some of the perks and paraphernalia that come along with such an esteemed designation. There’s no better time to put any (or all) of these West Wing-inspired gifts on your holiday wish list. The only question left is: What’s next? 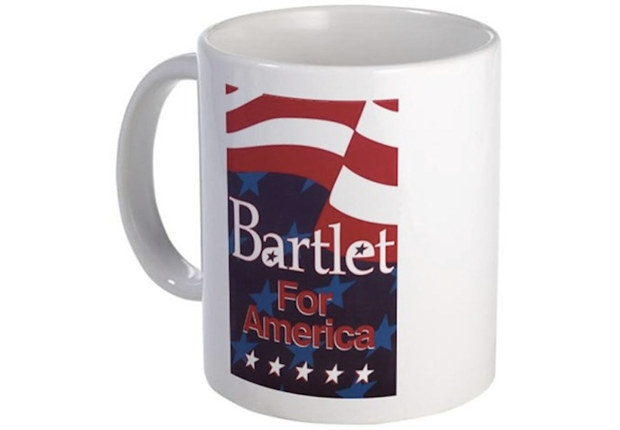 Nothing sums up The West Wing’s entire philosophy—even the fictional country’s post-Josiah Bartlet years—better than the tagline “Bartlet for America.” So why not get it emblazoned on a mug? 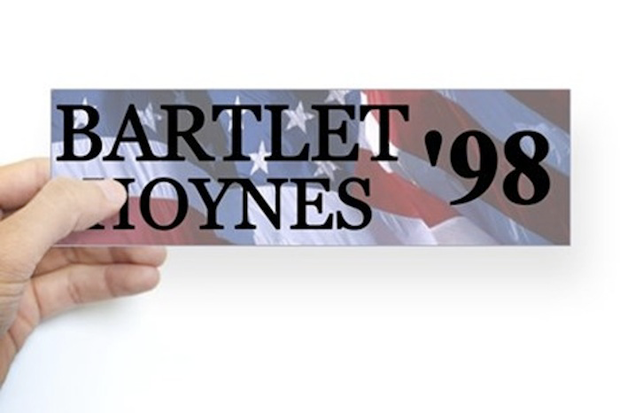 Show that you’ve been a supporter of Jed Bartlet and his original—albeit philandering—running mate from the beginning with this wayback nylon bumper sticker. A 2002 edition is also available, as are versions for Robert Ritchie and Jeff Heston (boo! ), Matthew Santos and Leo McGarry, Arnold Vinick and Ray Sullivan, and even a 2008 edition for West Wing creator Aaron Sorkin and executive producer Thomas Schlamme. Fancy yourself a fan of The West Wing’s behind-the-scenes players? 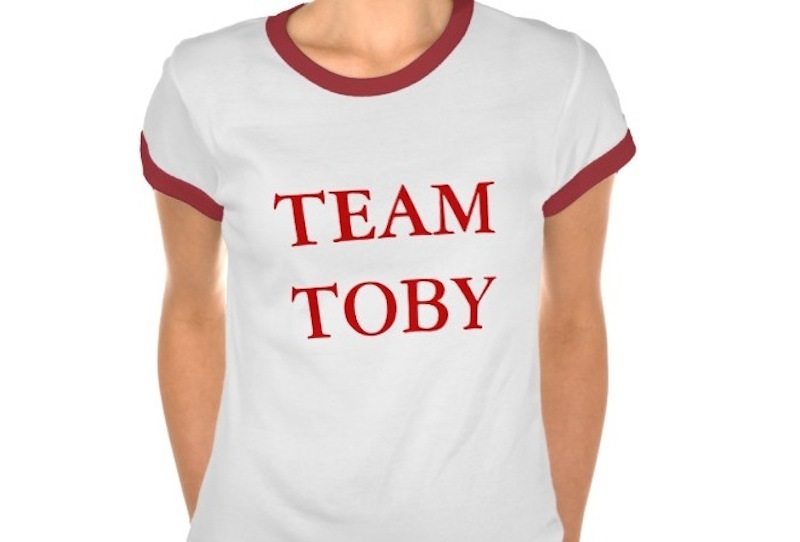 Prove it with this sartorial ode to the irascible but lovable White House Communications Director Toby Ziegler. The man did give up his bachelor pad to buy his pregnant-with-twins ex-wife her dream house, after all. The least you could do is wear a T-shirt in his honor. Want to be even more like Toby Ziegler? 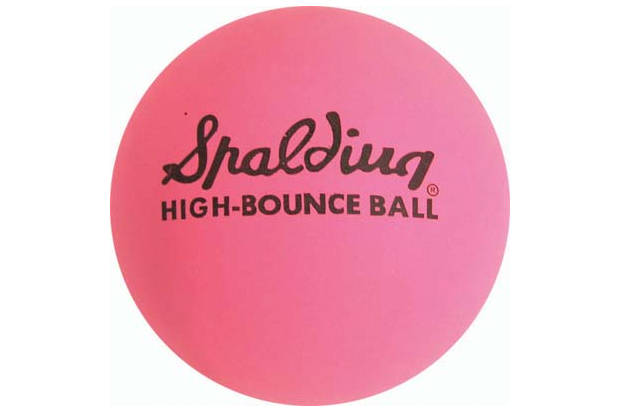 Channel your inner Brooklyn-badass-turned-political-higher-up with a collection of tiny pink high-bounce balls that are just as helpful eliminating stress as they are calling office mates to attention. 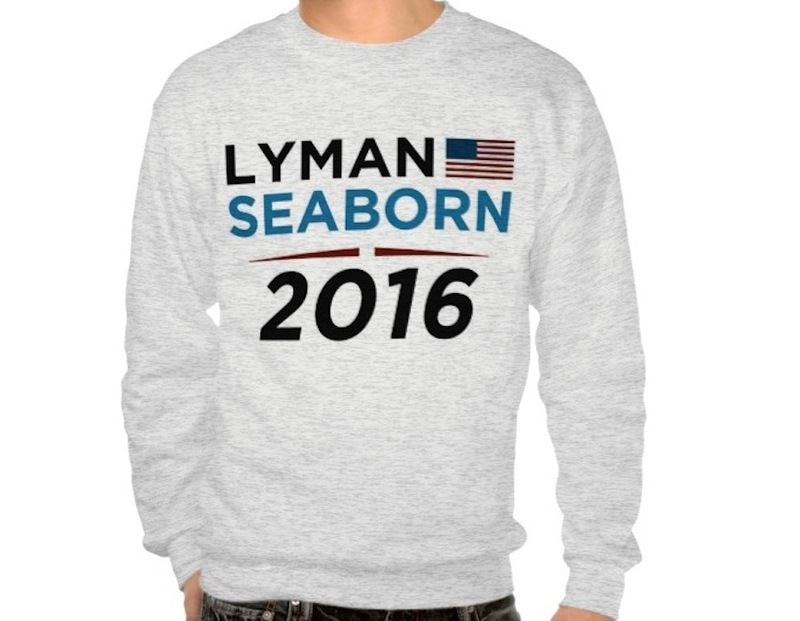 Sure, they may be fictional characters, but that doesn’t mean you can’t wish for Bradley Whitford’s Josh Lyman and Rob Lowe’s Sam Seaborn to band together and make a run for The White House in 2016. And this sweatshirt makes it easy to wear that wish on your sleeve (or, more appropriately, your chest). 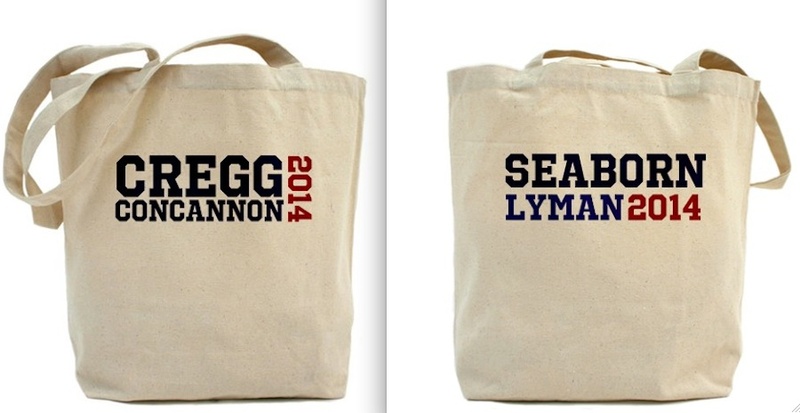 Make this tote bag a part of your daily ritual, which promotes Sam Seaborn for President and Josh Lyman as his second-in-command on one side and (oddly) touts White House Press Secretary-turned-Chief of Staff C.J. 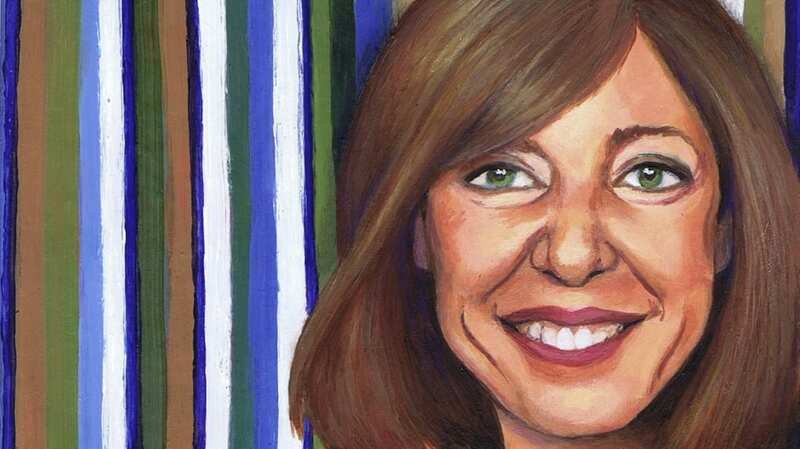 Cregg and Pulitzer Prize-winning Senior White House Correspondent Danny Concannon on the other. Still can’t get enough C.J.? Why not hang her virtuous mug in a place where you can be inspired by it every day? 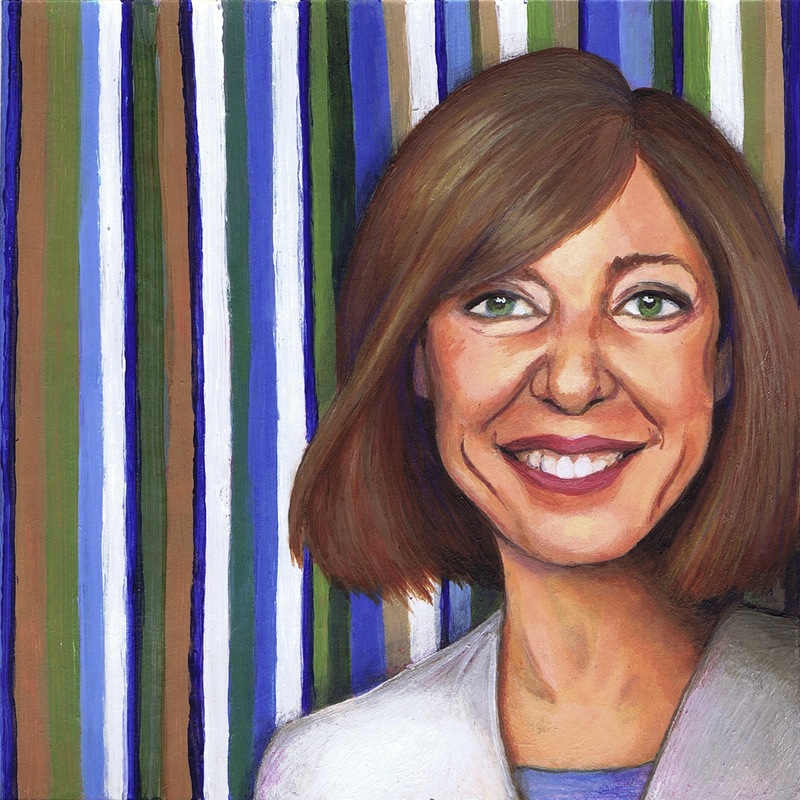 This five-inch portrait is created with watercolor, colored pencil, and acrylic. While the truth behind Big Block of Cheese Day, an event started in Andrew Jackson’s White House, isn’t retold with 100 percent accuracy by Leo McGarry on The West Wing, his enthusiasm about the day—which essentially allows for any crackpot to make a case for some national issue to a White House Staff—is enough to win you over. 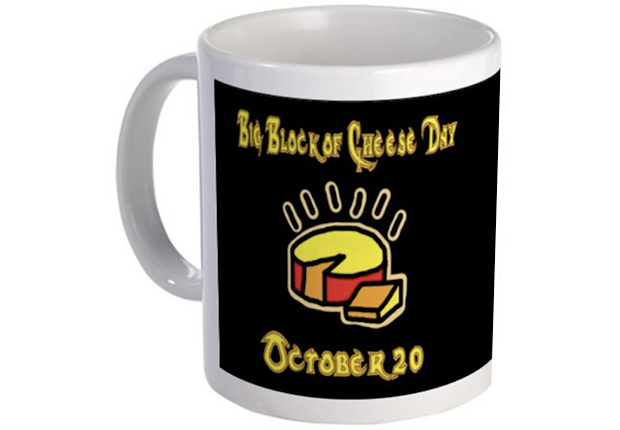 Share that enthusiasm with the world via this Big Block of Cheese coffee mug, which comes in black or white and can be ordered in regular or mega-sized. The back of the cup includes a quote/veiled threat from McGarry—“I am making a mental list of those who are snickering, and even as I speak, I am preparing appropriate retribution”—and all profits from this particular item are dedicated to charity in the memory of actor John Spencer. 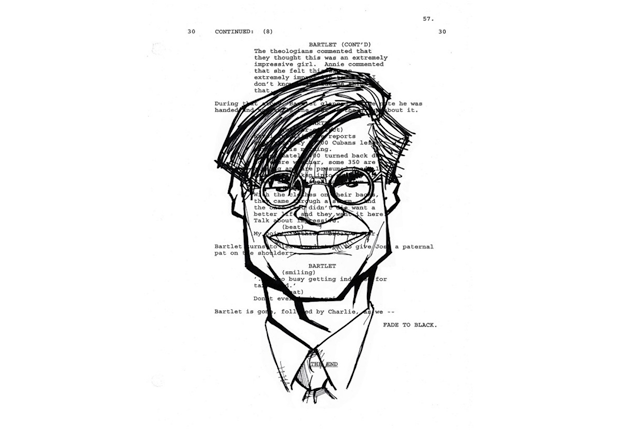 The West Wing wouldn’t be The West Wing without Aaron Sorkin. So who better to inspire fellow and future writers than this sketch of the witty Oscar-winner drawn over the last page of The West Wing’s pilot script? Before you hop in the car and head to New Hampshire to pay a visit to the Josiah Bartlet Presidential Library, you should know something: It doesn’t exist. But if it did, one could only imagine it would be stocked with obscure texts that would easily bore Bartlet’s chief staff members. And that the president would have a difficult time deciding which Bible he’d most like to see there. 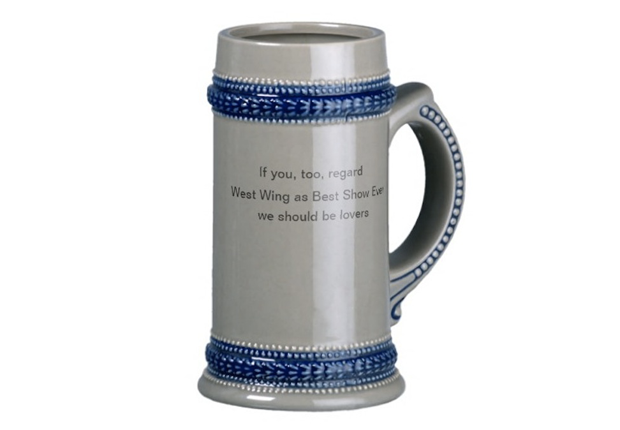 The quote on this 18-ounce beer stein sort of says it all: “If you, too, regard West Wing as Best Show Ever we should be lovers.” At least that’s the basic version of it. You should feel free to adjust the text, add an image, and generally tweak the mug as you see fit. And if ale isn’t your thing, the same sentiment can be found on a collection of coffee and travel mugs. 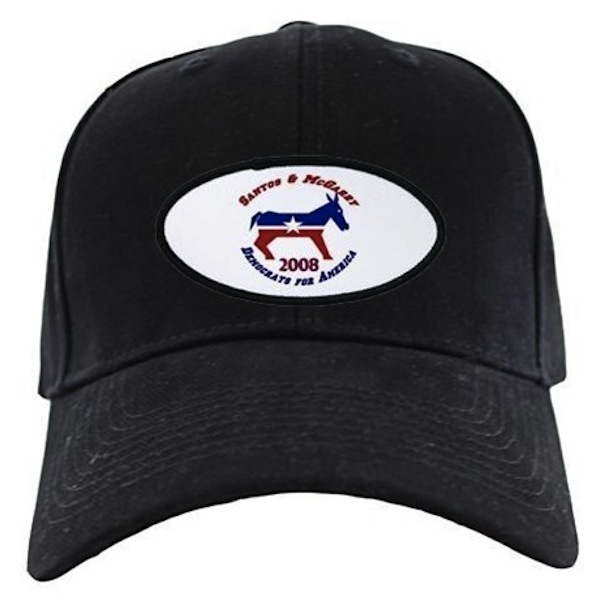 Jed Bartlet’s successor, Matthew Santos, brought a hip new energy into The White House, as evidenced by this cool brushed cotton canvas baseball hat that commemorates his successful presidential run—a run that was conceived of and executed by Josh Lyman. You can be too young to vote, but you’re never too young to show your political support. 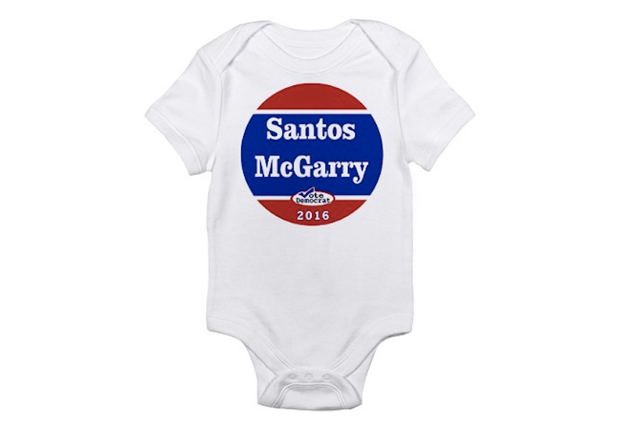 Tiny politicos will appreciate this cotton jersey bodysuit that makes the case for a Santos-McGarry run for office in 2016. Their parents will be even more pleased by its three-snap closure, which makes diaper changes a cinch! Arnold Vinick may have conceded the 2006 presidential election to Matt Santos, but it’s hard to keep a good man down. 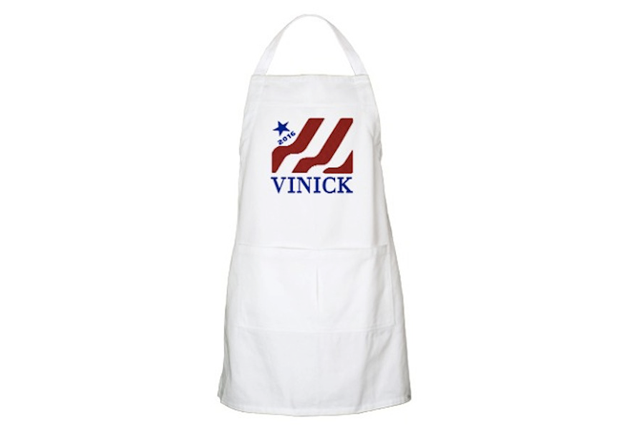 You’ll remember that every time you’re baking up a batch of brownies or a lemon meringue pie (the man did hail from “The Citrus Capital of the World,” after all) in this perfectly presidential twill apron. Of course, no true discussion of West Wing fandom would be complete without paying tribute to the show’s most beloved duo, Josh and Donna. 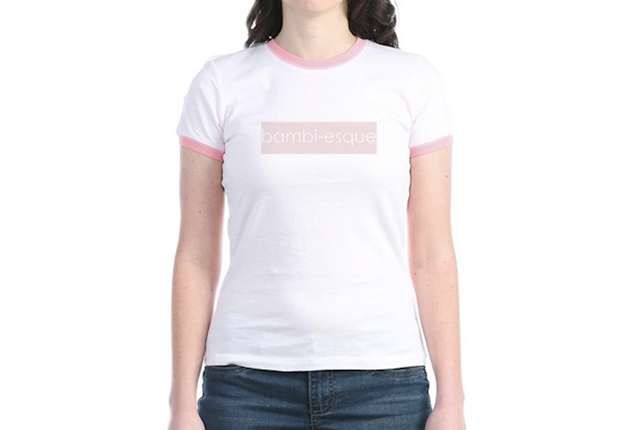 And those who recall season four’s “Debate Camp” episode will remember the magazine profile of Donna that refers to her “inexperience and Bambi-esque naiveté.” Yep, there’s a T-shirt for that.